This year again the 3-star hotel-club Belambra Diva is our principal hotel. It is a ski-in ski-out hotel of great value offering modern and comfortable rooms. 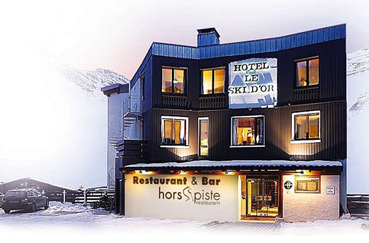 The 4-star hotel Ski d’Or is a superb ski-in ski-out hotel, combining authenticity and comfort. The hotel is equipped with a jaccuzzi, a Turkish bath and a sauna. 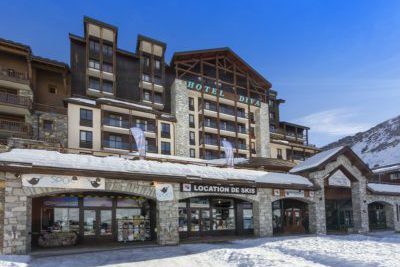 Rooms at the Ski d'Or are proposed on a B&B basis. 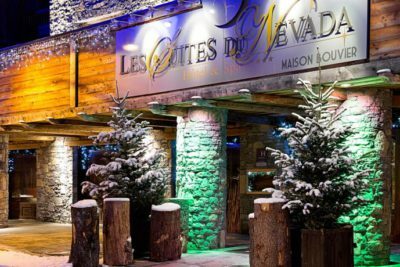 The 5-star hotel Les Suites - Maison Bouvier is Tignes' most prestigious hotel & spa. It offers a large range of rooms and suites of all sizes as well as a beautiful pool & spa and a fully equipped gym. The rooms and suites of our selection include the breakfast.